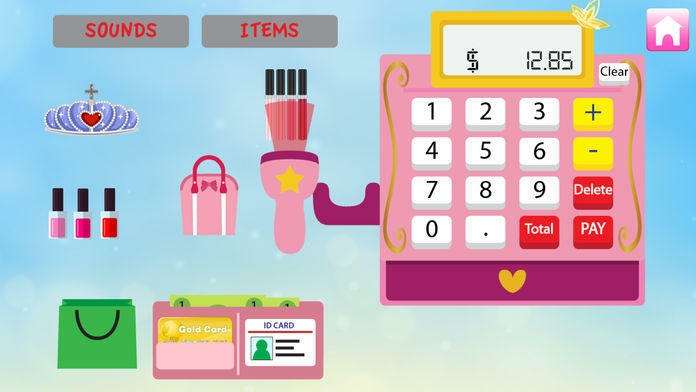 Let's go shopping with princess cash register! 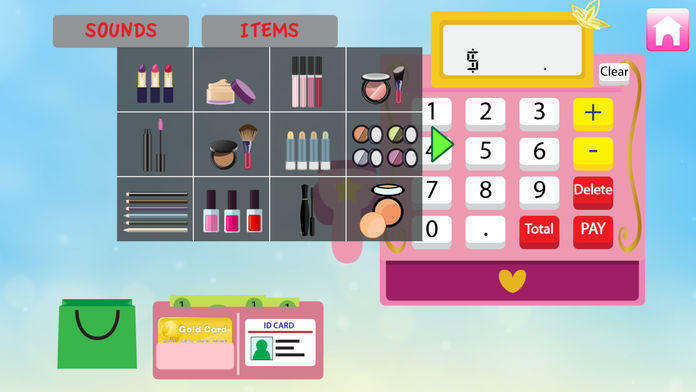 You can play as both the shopper and cashier. 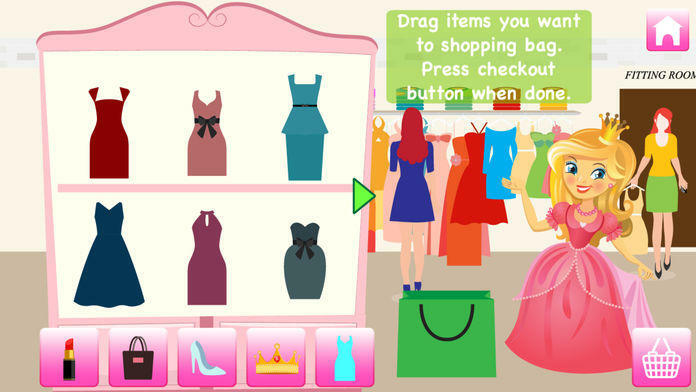 Choose from free play mode or shopping game mode. 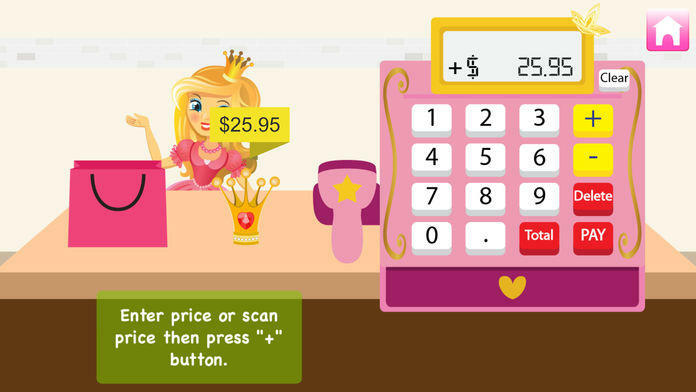 Use your pretty pink cash register to ring up any of the 52 princess items available. You can shop for makeup, shoes, bags, and tiaras. The cash register is a real working calculator with a scanner that can scan the available merchandise. You can also swipe the credit card to pay at the end of the shopping spree. Move money in and out of the cash register. Give your customer the right amount of change. There are also 6 different shopping phrases sound. 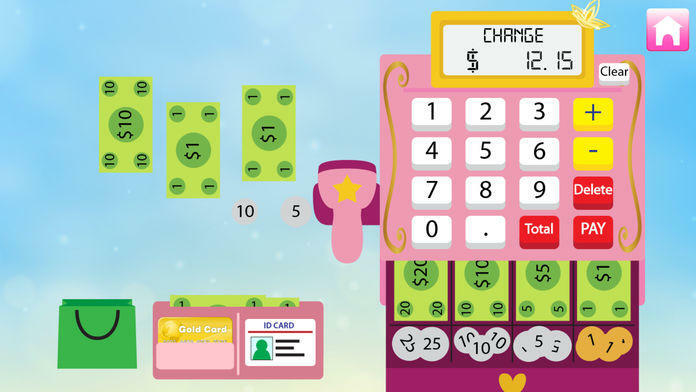 Have fun and use your imagination with this princess cash register.